J Clin Invest. 2007;117(2):283–283. https://doi.org/10.1172/JCI31305. Ian Wilmut and Roger Highfield. W.W. Norton & Co. New York, New York, USA. 2006. $24.95ISBN: 978-0-393-06066-9 (hardcover).336 pp. In the 1980s, Davor Solter, the renowned developmental biologist, declared that the cloning of mammals by nuclear transfer was “biologically impossible” (1). Despite such devastating discouragement, Ian Wilmut, a modest scientist who failed botany as a schoolboy, persisted with his research in the Scottish countryside. 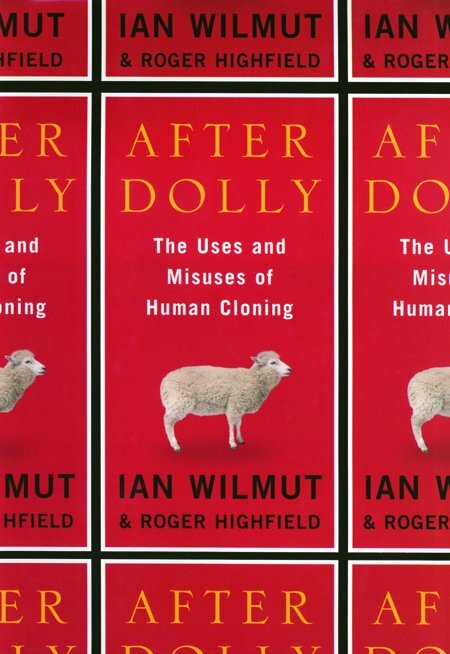 In After Dolly: the uses and misuses of human cloning, Wilmut joins forces with award-winning science journalist Roger Highfield to tell the inside story of how he, Keith Campbell, and their team cloned Dolly the sheep, proving Solter wrong and startling an unprepared world. The book provides a detailed and highly readable account of the science behind Dolly, as well as an enlightening look at some of the profound social and ethical issues surrounding one of the most controversial topics in biology. Of course, the big hope is that nuclear transfer techniques can be used in stem cell research to alleviate human suffering — to provide treatments for diabetes, blindness, heart disease, and a range of other diseases caused by tissue loss or dysfunction. At the outset, Wilmut gives credit to Campbell, a soft-spoken cell biologist with great insight into the cell cycle and “what makes cells tick.” Together they led the remarkable and tedious effort to clone the first mammal from an adult somatic cell. The birth of Dolly catapulted Wilmut from obscurity to stardom and into the middle of the debate over the justifications for human cloning and stem cell research. After offering some background about himself, Dolly, and the team, Wilmut embarks on a brief history of cloning, from the early work of Hans Driesch, Robert Briggs, and John Gurdon to the inspiration of Steen Willadsen and other cloning pioneers. Perhaps the most central message in After Dolly is a passionate and forceful argument for cloning human embryos to fight disease. Wilmut suggests it would be immoral not to use somatic cell nuclear transfer (SCNT) to grow patient-specific replacement cells and tissue. He invokes his father, a diabetic, as just one person among millions who might have benefited by cells derived from a human embryo. Every year, 17 million people die of cardiovascular disease, over 200 million suffer from diabetes, and millions more are afflicted with a wide range of other disorders that may one day be treatable with stem cell therapies. But even if stem cell researchers learn to generate these various tissues, doctors still will not be able to transplant them into patients without risk of immune rejection or the use of immunosuppressive drugs and/or immunomodulatory protocols. SCNT could potentially eliminate the immune responses associated with the transplantation of these stem cell–derived tissues. Aside from the problem of egg supply, there are of course the ethics associated with creating and destroying human embryos. Wilmut devotes an entire chapter to the dispute about “personhood” and the moral status of the early embryo. “The central reason that I don’t regard a blastocyst as a person,” he states, “is that it has no mental life.” His views echo those of the medical and scientific community, drawing the line at the blastocyst stage and firmly disapproving of the use of cloning for reproductive purposes, noting the inefficiency of the technology and the plethora of developmental defects and abnormalities that still plague the cloning of most animal species. After Dolly succeeds at guiding the reader through the dangers and opportunities of cloning, telling the stories of the science and the scientists behind the scenes in an engaging and highly informative manner. The result is a clear, accessible account of one of the most fascinating and volatile subjects of our time. It should prove illuminating reading for everyone from students to scientists and clinicians. McGrath, J., Solter, D. 1984. Inability of mouse blastomere nuclei transferred to enucleated zygotes to support development in vitro. Science. 226:1317-1319.